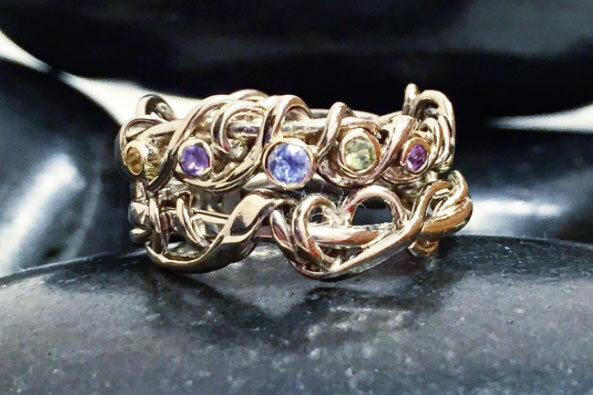 Custom fitted vine multi-colored sapphire and 14k palladium white gold wedding and engagement set. Stone set engagement ring: $980. Plain wedding ring: $795.